Come bid on authenticated and genuine signed memorabilia from all your favorite artists, actors, and sports figures. High End Memorabilia is giving bidders a chance to add to their favorite spaces with tasteful and eye-pleasing decorations that show off who and what they love! Bidding is open now and the live auction kicks off on Monday September 3rd, 2018 at 11AM Pacific Time. High End Memorabilia has been serving private memorabilia collectors with personalized one-on-one services for more than 20 years. They pride themselves on outstanding customer service and provide a 100% money back guarantee on every piece. They are proud to say that more than 90% of their customers have made repeat purchases and given referrals. 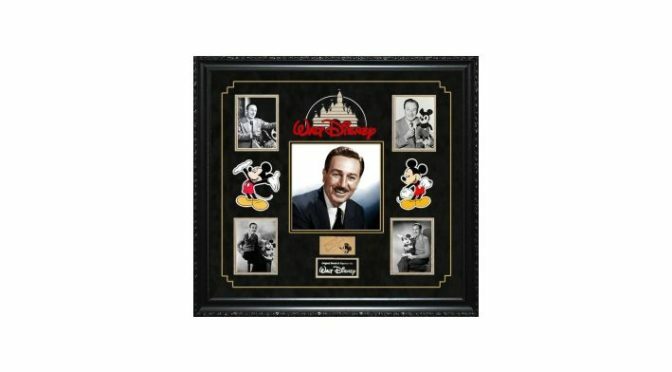 Anyone who is looking for the best and most exclusive memorabilia with personalized professional service, can give them a call at 562-325-2927.
iCollector.com is a hub for Disney Memorabilia and this auction features a Walt Disney autographed photo collage at Lot 113. This has an original signature from the American motion picture and television producer. He is most famous as a pioneer of cartoon films and as the creator of Disneyland. This beautiful piece is ready to hang on any wall and opens for bidding at only $100. Estimated in value as high as $4000. Sports collectors will want to pick up the beautiful piece up for grabs ant Lot 244. This framed piece includes a signed Brazilian National Team shirt from Pele. This is signed by Pele and includes a couple of photos from his career. This makes a great display piece for the home or a public restaurant or sports bar. Valued at over $2000. Lot 310 is one of the most valuable offerings of the sale. A lobby card of Gone with The Wind that is signed by the several prominent members of the cast. This card is from 1954 and in beautiful frame along with photos of the cast who have signed this piece. Signatures include Thomas Mitchell, Rochester, Clark Gable, Vivien Leigh, Ward Bond, and Olivia de Havilland. Bidding opens at only $100 and this could hammer down for well over $6000. All items, along with photos, are available in the online catalog for full inspection. 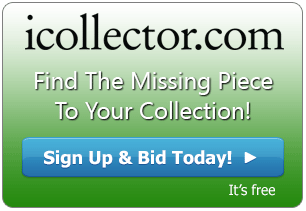 High End Memorabilia and iCollector.com are pleased to answer any questions via email or telephone about this auction or any of their other auctions; contact them and make your bids today. The auction opens for live bidding at 11AM Pacific Time on Monday September 3rd, 2018.